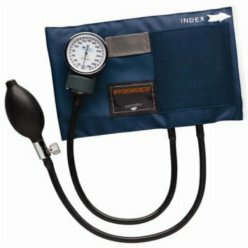 Thank you for your interest in our Aneroid Sphygmo without Stethoscope. Please complete your details on the 'Quick Quote' form and click the Submit Button at the bottom of the page. 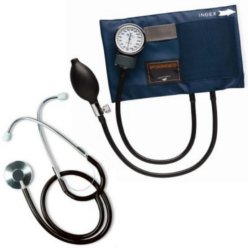 A customer service consultant will contact you about the Aneroid Sphygmo without Stethoscope with a quotation. 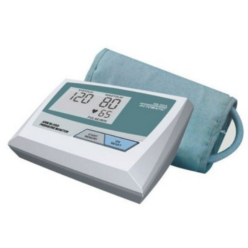 Aneroid Sphygmomanometer. 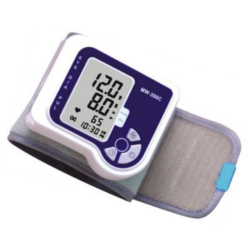 Upper Arm blood pressure monitoring cuff. Does not include Stethoscope. Composed of an inflatable cuff to restrict blood flow; and a mercury manometer to measure the pressure.